The Aegean and Mediterranean coasts are the most bestowed beauties to Turkey and their people. These coasts, which are frequented by hundreds of yachts every year have become destinations that are intensely travelled by rented and private yachts. Where untouched beaches meet turquoise waters, this is where travellers find peace amongst the sounds of the waves and discover inner peace to the sound of birds and palm trees blowing in the wind. The beauty of the nature that can be found while on the sea brings different depths of serenity into peoples’ lives. The seaside resorts have different dimensions in the eyes of the sea lovers. It is not only about listening and feeling yourself in the cool waters, however, finding a yet-to-be-discovered island, and meeting the coast with its unique beauty landscapes. The trips, which are called blue voyages and made between different ports and islands, sailing is said to be the most beautiful part of the tours. Renting a yacht allows you to create your own itinerary! It allows you to see places you never thought you would see or you always dreamt of seeing. You will certainly have the opportunity to realise that dreams can become a reality. Our yachts are comfortable and all to an excellent standard! You will find yourself in another world while gracefully sailing in the comfort of your new sea home. Tranquillity and comfort, pride and style, are just some feelings experienced while you determine your own freedom on the sea. Holding a licence allows you to freely determine your own route, timings, and destinations. Without a license, you can still explore adequately with the assistance of a professional and wise captain, and staff on deck. Yachts are recognised in 2 different categories, the categories are separated according to yacht purpose of use, type of yacht, size of yacht and facilities available on yachts. Excursions for blue voyages are classified as wooden yachts, also known as ‘gulet’; Gulets come in different sizes and varieties, however, all gullets are wooden! Some gulets can be sailed depending on the weather. Gulets tend to have a wood interior, with a shiny finish... Gulets can be standard or luxury. Modern yachts are generally constructed from steel and fibreglass, they are normally of a clean white finish. Like gulets, yachts can be navigated by machine or the wind depending on the weather. Modern yachts such as motor yachts have a distinct look, they have an outstanding interior similar to an upper-class home or hotel, however, like a gullet they can be ranked standard or luxury, again this depends on size etc. Gulets are more popular with groups and families. Down to the masters of craftsmanship on the gulet, the warm feeling the wooden exterior and interior gives adds to the human experience and provides unforgettable moments. Gulets are famous for their large living areas and facilities offered on board. Motor yachts are designed for long distance travelling in short amounts of time. Motor yachts are constructed from steel and fibreglass, they are manufactured to normally use 2 or more Lare machines for a high cruising speed. They are available to with or without a licence. These yachts are designed with comfort and style in mind. It is very easy to experience an unforgettable holiday by renting private yachts with different varieties and options. A dreamy holiday is waiting for you with a private yacht charter that plays a role as a mediator to achieve a dream that you only dreamt of. Rent a sailing yacht or catamaran with or with our crew and have an amazing sailing holiday . Things to know about yacht Construction. 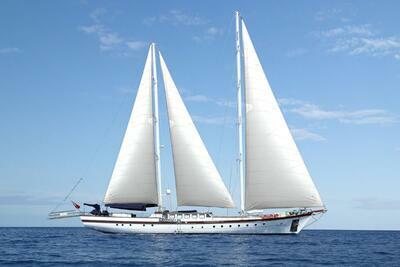 Cabin charter in Turkey and Greek Islands with gulet charter . Some frequently asked questions... You can contact us directly. We have a wide range of yachts for sale that comes in a variety of styles such as Turkish gulets (wooden traditional sailing yachts), motor yachts. the best starting point is deciding on the right boat for your group and the price. gulets and yachts resemble a luxury hotel. On board, gulets have certain rules that must be honoured for the safety of the guests and crew. Albatros Yachting offers you a wide range variety of gulets to rent. Undoubtedly, the best way of getting away from accumulated stress and fatigue all over the year is undoubtedly a sea holiday. There is a great range of coral reefs and wrecks that litter the coastline throughout Turkey, so there is an opportunity for every scuba diving interest. At Albatros Yachting we have a wide range of yachts and gulets available to rent and buy. We have something to suit everyones budget. At Albatros Yachting we are dedicated to pleasing all of our customers, new and returning. Appreciate other guests opinions and experiences. From Bodrum, Marmaris or Fethiye you can join one of the Albatros Boats to the South Greek Islands from different routes. Sailing boats are not only beautiful but economic too. The crew is the most important part of the cruise. Travel insurance is always recommended while travelling in case of unforeseen circumstances.